Peeled and halved avocados, taking away their core. With a fork, schiacciatene the pulp. All other chopped vegetables (onion, red pepper, cilantro, garlic). 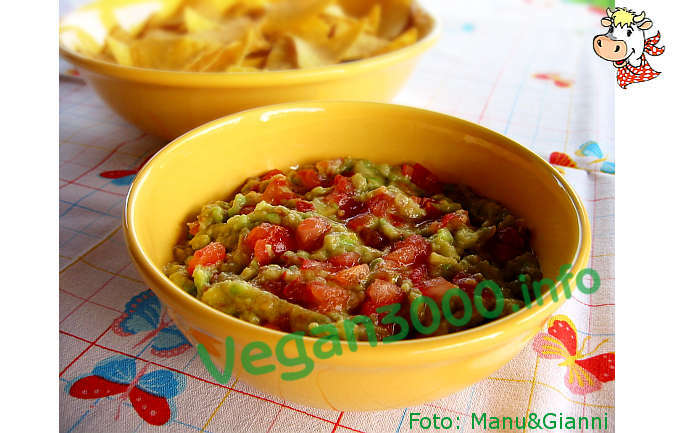 Peeled and chopped tomato, avocado puree that will join the previously obtained thereby. Now add gradually, stirring gently, the various ingredients, seasoning to taste. The final consistency should be rather creamy and smooth. Lemon juice serves not to blacken Avocados.